With just 180 minutes of league football played, it is probably too early to discuss potential winners – or indeed challengers to Bayern. However, after a tremendous opening day result against RB Leipzig, Matchday 2 brought Dortmund back down to earth – a draw away at Hannover was not the ideal result for a club looking to shake off the disappointments of last season. The visit of Pokal winners Frankfurt has been fertile ground for Die Schwarzgelben in recent times. The Eagles have left the Westfalenstadion without a point on the least seven occasions. Something new head coach Lucien Favre will be keen to see extended to eight. This fixture could see the debut of new Spanish striker Paco Alcácer who arrived from Barcelona recently, as well providing Marius Wolf with an early chance to punish his old side. Wolf is another new summer arrival, but this time from Frankfurt – a match up that could see some early season sparks fly. Although Dortmund failed to take all three points from Hannover, they did create chances and should really have returned home with maximum points and not a share of the spoils. 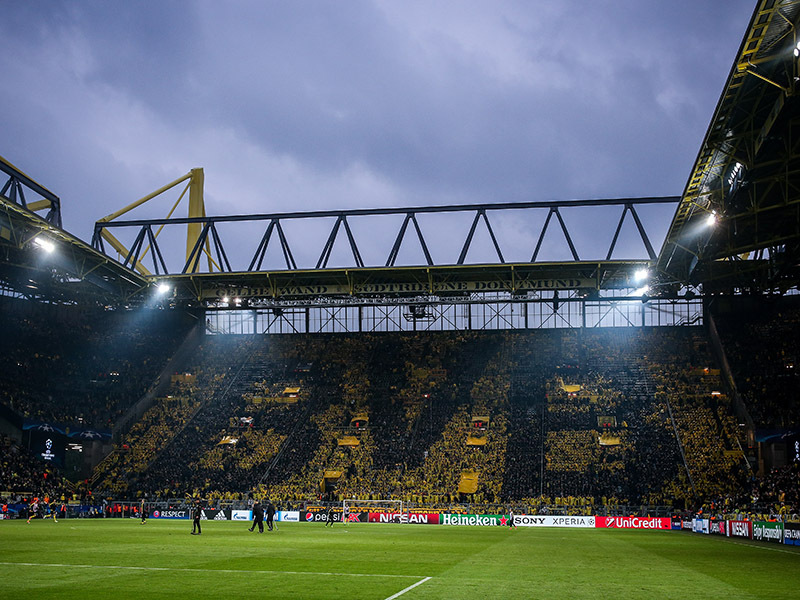 Should they find the pinpoint accuracy they displayed on Matchday 1, then the visitors may be in for another long night in front of the Yellow Wall. After a wonderful end to last season, culminating with a formidable display in Berlin which won them their first top flight trophy in 30 years, this current campaign started with a whimper for new coach Adi Hütter. Super Cup disaster was quickly followed by an opening day victory against Freiburg, before questions of Frankfurt once again surfaced after a late-late defeat at the hands of Werder Bremen just seven days later. Frankfurt need to find their style and quickly, under previous coach Niko Kovač they had a hard approach but were able to balance this against a desire to finish off opponents – something that was found wanting against Werder. New signing Goncalo Paciencia limped out of training Tuesday with what is described by Die Adler as a ‘meniscus tear’ – not the best of news as further investigation found that surgery is now the only option to get the forward back into action, it will be a minimum of six weeks before the Portuguese returns to training. 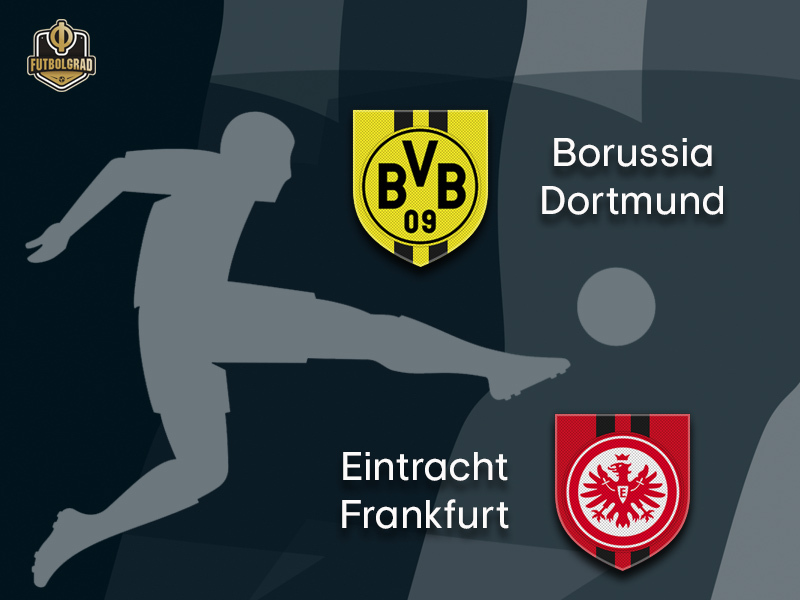 If Frankfurt can return home Friday night with a point – and no new injury problems – then The Eagles will have broken the curse of Dortmund, something that has blighted them over recent history. No new injuries would also be as good as a victory – with a large part of their defence on the treatment table, and influential figures like Ante Rebic still unavailable, Frankfurt will have been hoping for an easier test than the one awaiting them Friday night. The Belgian has settled into the yellow and black of Dortmund rather quickly. An opening day goal against RB Leipzig followed his debut goal earlier that week in the DFB-Pokal. With Dortmund lacking in goals last season, a defensive midfielder who can also get his name on the scoreboard has been a welcome addition. Strong in the air, whilst also having the ability to spot a quick forward pass, enables the 29-year-old to create from deep. 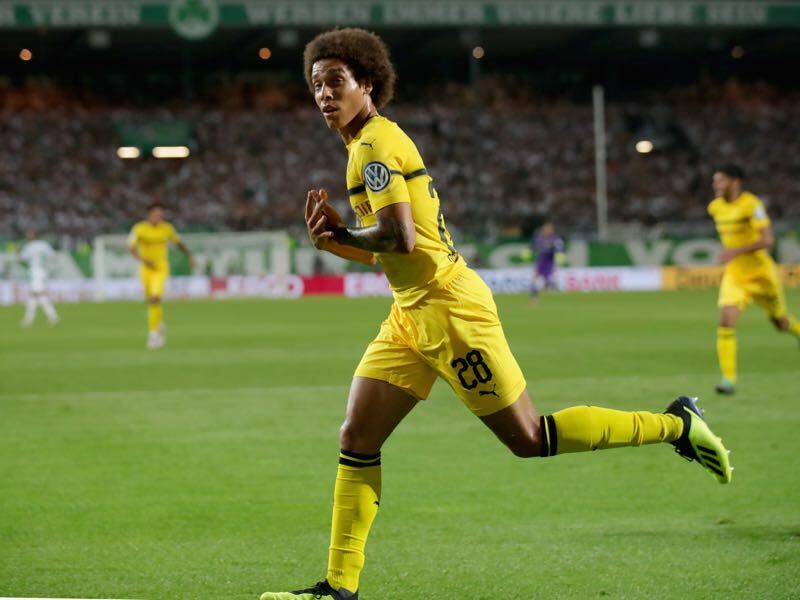 His early blossoming partnerships with those around him should stand Dortmund in good stead as they look to return to the top of German football. The French forward has started the season well, with two goals and one assist from the opening two Bundesliga fixtures he should surpass last season’s total of nine goals in 31 league appearances. He was on the score sheet last season in the reverse fixture of this match up – scoring Frankfurt’s first as The Eagles came back from two-nil down to draw two-two. A flair forward, he is always keen to link up with those in close proximity to break lines whilst also causing opposition defences problems in the air. If Frankfurt can find the right cross Haller can be relied upon to find the net with his head. Friday night will be Adi Hütter’s first visit to Dortmund as a head coach.